Interview with YSC Consultancy. Click below to watch. 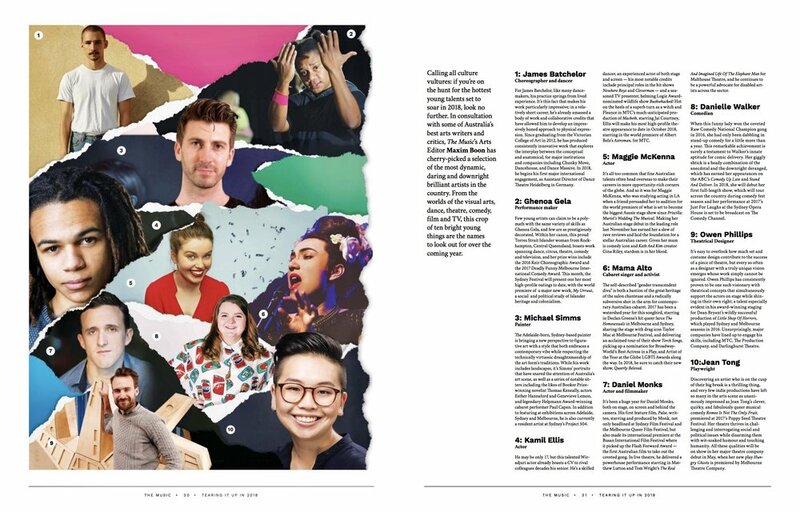 Featured in ‘The Music’ as one of the top talents to watch in 2018. Click here to read full story. Interview on ABC Weekend Breakfast discussing the 2017 Doug Moran Portrait Prize. Click below to watch in full. 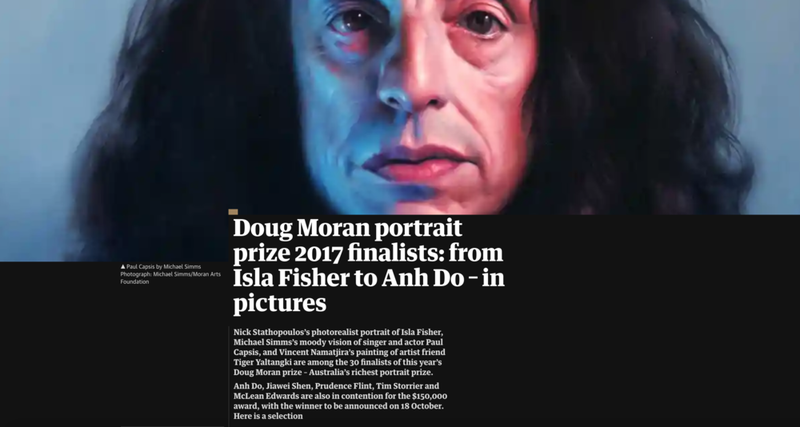 Featured in The Guardian’s Overview of the 2017 Moran Portrait Prize. Click here to read full story. Interview on ‘Talking With Painters’. Click here to listen in full. Story in Beautiful Bizarre Magazine. Click here to read in full. Interview with ‘Artospective’. Click here to read full article. Featured in the North Shore Times. Click below to enlarge. Artwork Reviewed for the Contemporary Art Awards. Click here to read full text.